When Samantha Bryan came to the US to design women's shoes for a major shoe company based in Colorado, it felt an awkward fit. When the association came to an end, however, business salvation arose from an unlikely source: the Australian meat pie. 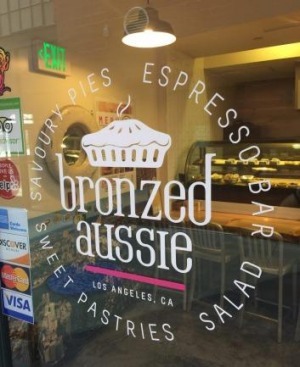 "I thought 'That's got to be a way of making money in LA, there's so many Aussies here'," the former Sydneysider says in her pie shop, Bronzed Aussie, in the city's edgy but gradually gentrifying Downtown district (714a S Los Angeles St, bronzedaussie.us). "Downtown is tricky, because I'm hidden here but it's in a nice little oasis," says Bryan, referring to the attractive narrow laneway her pie shop is in. "When people find it, they tend to come back." Bryan estimates 50 per cent of her business is from Australians or people from other Commonwealth countries. "It's an interesting concept to explain to Americans, because they mostly think of pies as sweet: apple, cherry." Slowly, however, she's winning Americans over to the meat pie, sending flyers to local businesses and attracting curious local workers. "A Mexican guy who runs a parking lot around the corner came in the other day and tried a meat pie and a sausage roll," she says. "I've never seen anyone so excited in my life. He came back the next day." 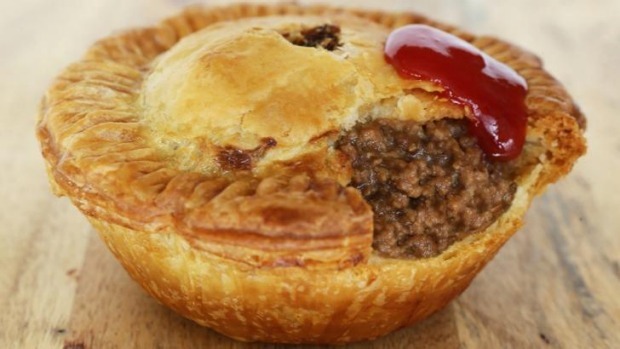 Bronzed Aussie's menu includes pies filled with ground beef, chunky beef, pepper steak, and chicken; along with a "vegie brekkie" pie and two vegan options. Even lamb, not much eaten in the US, is proving popular. "My Australian chef was dead against doing a lamb pie, but now it's my second-best seller." 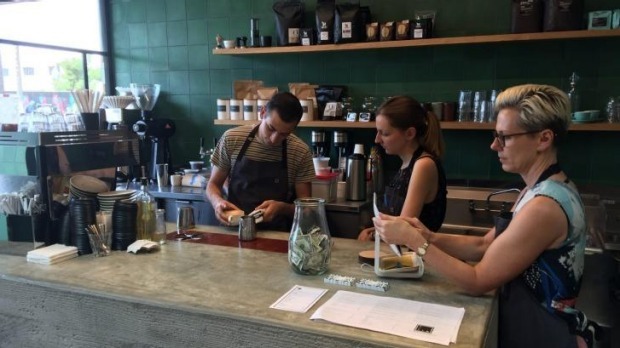 To the west in the Fairfax neighbourhood, another Aussie favourite is making its mark: coffee. In September, Mark Dundon, Russell Beard and Ping Jin Ng launched Paramount Coffee Project (456 N Fairfax Ave, pcpfx.com), sister to the cafe of the same name in Sydney's Surry Hills. The interior certainly has the feel of an Australian cafe: a renovated narrow shopfront with concrete floors, timber panelling and an internal breezeblock wall hung with potted plants. Manager Charis Lynn feels Aussie-style cafes have a distinctive appeal. "I think it's the way we provide an experience and a service as well. At coffee bars here you generally line up, you wait for your coffee, you get it to go. Often the food element isn't involved at all. Brunch is just on the weekends, usually from 10am or 11am. "For Australians, cafe dining is more of an everyday thing. It's casual, it can be whatever you want it to be." Though the cafe follows an Australian model, its food draws on local ingredients and influences. 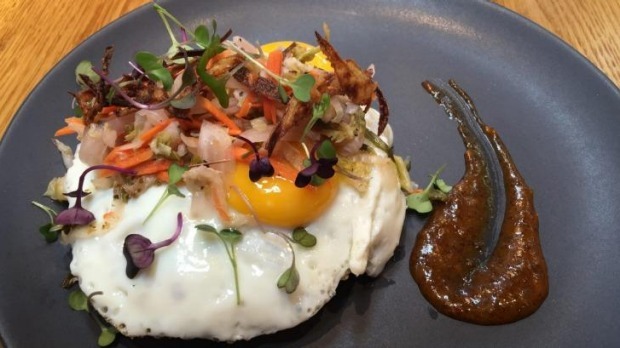 On the menu are dishes such as mezcal cured salmon salad, frijoles y queso, and a tostada with fried eggs, avocado mousse, blackened tomatoes and sesame seeds. The tostada has an extra, distinctly Aussie ingredient: baked and crumbled Vegemite "dust". "A lot of people just order 'a coffee', which we do as a batch brew," says Lynn. "But we also go through a lot of espresso; we actually churn out a lot of ice drinks, because of the warm weather." Although it's early days, she's confident that the Australian-style cafe will succeed. "We're already getting a lot of families, and people working in the area. A lot of Australians and Kiwis as well. They feel at home here." Check out this cluster of cafes, restaurants and bars with Australian connections in the West Hollywood area. Tim Richards was a guest of the Los Angeles Tourism and Convention Board.